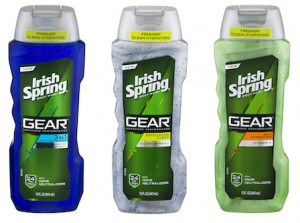 Starting Sunday score FREE Irish Spring Body Wash at Rite Aid. 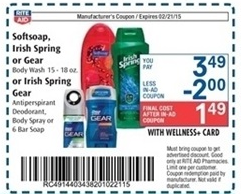 Surprising, the Hot $2.00 Irish Spring Printable coupon is still availableHERE to print. So if you haven’t printed it yet, do so with the quickness and score your FREE Irish Spring Bodywash. Rite Aid does not give overage so you will have to grab a smaller filler item, like a candy bar to absorb the overage.